Your privacy is important for us. In this privacy statement we explain what personal information we collect from our users and how we use them . We encourage you to read these terms carefully before providing your personal data on this website. Those over the age of thirteen may register at https://englishadventures.com (a product of Canterbury Consulting Spain SL) as users without the prior consent of their parents or guardians. In the case of children under the age of thirteen , the consent of the parents or guardians is required for the processing of their personal data. In this website the personal data of the users are respected and taken care of. As a user you should know that your rights are guaranteed. Canterbury Consulting Spain SL has adapted this website to the requirements of Organic Law 15/1999, of December 13, Protection of Personal Data (LOPD), and Royal Decree 1720/2007, of December 21, known as the Regulation of development of the LOPD. It also complies with Regulation (EU) 2016/679 of the European Parliament and the Council of 27 April 2016 on the protection of natural persons (RGPD), as well as with Law 34/2002, of July 11, of Services of the Information Society and Electronic Commerce (LSSICE or LSSI). Activity: Organization and management of English camps and language immersion activities. For the purposes of the provisions of the General Data Protection Regulation cited above, the personal data you send us through the web forms, will receive the data treatment of “Web users and subscribers”. Principle of minimization of data: We are only going to request strictly necessary data in relation to the purposes for which we require them. The minimum possible. Anyone has the right to obtain confirmation on whether at https://englishadventures.com we are treating personal data that concerns us, or not. Contact form: We request the following personal data: Name, Email, Phone, city of residence, personal preferences, to respond to the requirements of users of https://englishadventures.com. For example, I can use this data to respond to your request and respond to any doubts, complaints, comments or concerns you may have regarding the information included in the web, the services provided through the web, the treatment of your personal data, questions referring to the legal texts included in the web, as well as any other queries that you may have that are not subject to the contracting conditions. We inform you that the data you provide us will be located in the CDMON servers whose responsible is 10DENCEHISPAHARD, SL (provider of Canterbury Consulting Spain SL). CDMON is located in Spain, a country whose level of protection is adequate according to the EU Commission. Content subscription form: In this case, we request the following personal information: Name, Email, personal preferences, to manage the list of subscriptions, send newsletters, promotions and special offers, provided by the user when making the subscription. Within the web there are several forms to activate the subscription. The electronic bulletins or newsletter are managed by Mailchimp . I inform you that the data you provide us will be located in the servers of Mailchimp (provider of Canterbury Consulting Spain SL) outside the EU in the USA.Mailchimp is covered by the EU-US Privacy Shield agreement, whose information is available here , approved by the European Committee for Data Protection. Registration form for blog comments: To comment on the blog posts https://englishadventures.com, the user is required to register using this form. In this case, we request the following personal data: Name, Email, Website, Once registered, the user can make as many comments as he / she wishes and give an answer about the previous ones. I inform you that the data you provide will be located on the CDMON servers whose responsible is 10DENCEHISPAHARD, SL (provider of Canterbury Consulting Spain SL). CDMON is located in Spain, a country whose level of protection is adequate according to the EU Commission. To manage social networks. Canterbury Consulting Spain SL can have presence in social networks. The treatment of the data that is carried out of the people who become followers in the social networks of the official pages of https://englishadventures.com, will be governed by this section. As well as for those conditions of use, privacy policies and access regulations that belong to the social network that is appropriate in each case and previously accepted by the user of https://englishadventures.com. We will treat your data with the purpose of correctly managing your presence in the social network, informing about activities, products or services of https://englishadventures.com. As for any other purpose that the regulations of social networks allow. In no case we will use the profiles of followers in social networks to send advertising individually. In accordance with the provisions of the general regulation of European data protection (RGPD) 2016/679, Canterbury Consulting Spain SL (https://englishadventures.com) with address at Calle Covarrubias 22, 2nd Dcha. 28010 Madrid – Spain, will be responsible for the processing of data corresponding to users of the website and subscribers. Canterbury Consulting Spain SL, does not sell, rent or give personal data that can identify the user, nor will it in the future, to third parties without prior consent. However, in some cases collaborations can be made with other professionals, in those cases, consent will be required from users informing about the identity of the collaborator and the purpose of the collaboration. It will always be done with the strictest safety standards. The legal basis for the treatment of your data is: consent . Google Analytics: a web analytics service provided by Google, Inc., a Delaware company whose head office is at 1600 Amphitheater Parkway, Mountain View (California), CA 94043, United States (“Google”). Google Analytics uses “cookies”, which are text files located on your computer, to help https://englishadventures.com analyze the use made by users of the website. The information generated by the cookie about your use of https://englishadventures.com (including your IP address) will be directly transmitted and archived by Google on servers in the United States. https://englishadventures.com is committed to the use and treatment of personal data including users, respecting their confidentiality and use them in accordance with the purpose thereof, as well as to comply with their obligation to save and adapt all the measures to avoid alteration, loss, treatment or unauthorized access, in accordance with the provisions of current data protection regulations. https://englishadventures.com can not guarantee the absolute impregnability of the Internet network and therefore the violation of the data through fraudulent access to them by third parties. With respect to the confidentiality of the processing, Canterbury Consulting Spain SL will make sure that any person that is authorized by us to process the customer’s data (including its personnel, collaborators and providers), will be under the appropriate obligation of confidentiality (either a contractual or legal duty). When a security incident occurs, upon noticing Canterbury Consulting Spain SL, it shall notify the Client without undue delay and shall provide timely information related to the Security Incident as it is known or when the Client reasonably requests it. As a user, you are solely responsible for the accuracy and correctness of the data you send to https://englishadventures.com, exonerating Canterbury Consulting Spain SL (https://englishadventures.com), from any responsibility in this regard. 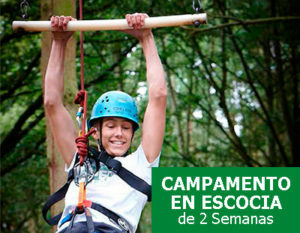 The consent given, both for the treatment and for the transfer of data of the interested parties, is revocable at any time by communicating it to Canterbury Consulting Spain SL (https://englishadventures.com) in the terms established in this Policy for the exercise of ARCO rights. This revocation will not be retroactive in any case. Canterbury Consulting Spain SL reserves the right to modify this policy to adapt it to new legislation or jurisprudence, as well as industry practices. In these cases, Canterbury Consulting Spain SL will announce on this page the changes introduced with reasonable anticipation of its implementation. According to the LSSICE, https://englishadventures.com does not perform SPAM practices, so it does not send commercial e-mails that have not been previously requested or authorized by the user. Consequently, in each of the forms available on the web, the user has the possibility of giving his express consent to receive the newsletter, regardless of the commercial information promptly requested. In accordance with the provisions of Law 34/2002 on Services of the Information Society and electronic commerce, https://englishadventures.com undertakes not to send communications of a commercial nature without properly identifying them.